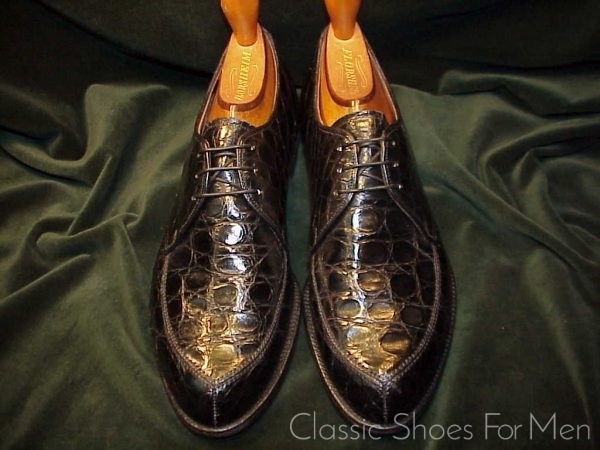 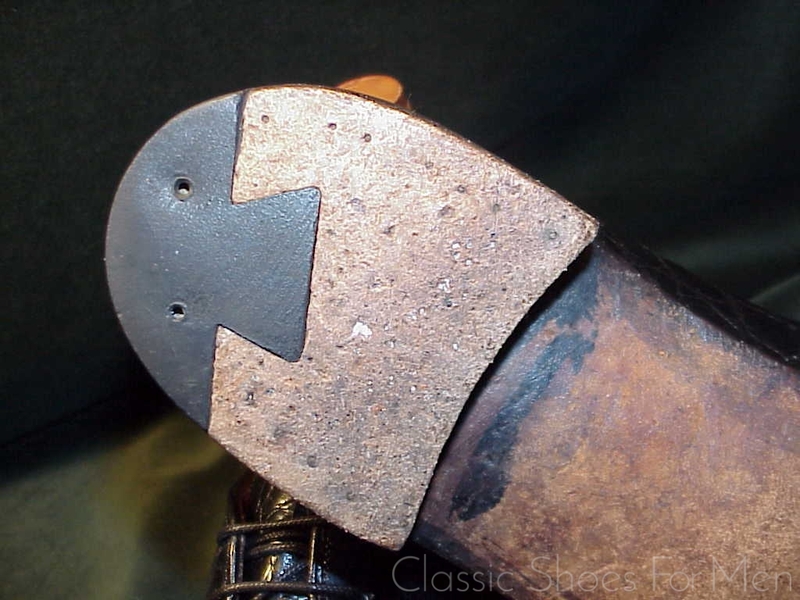 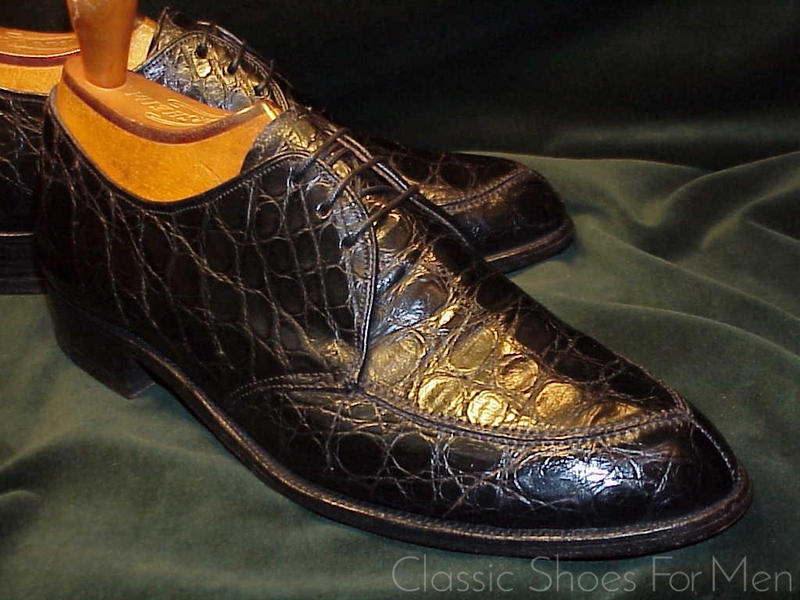 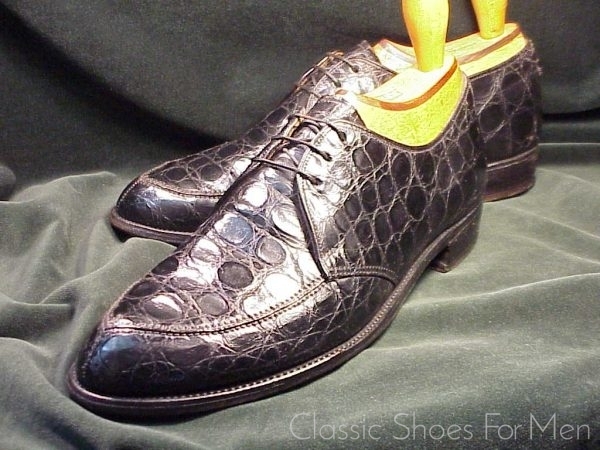 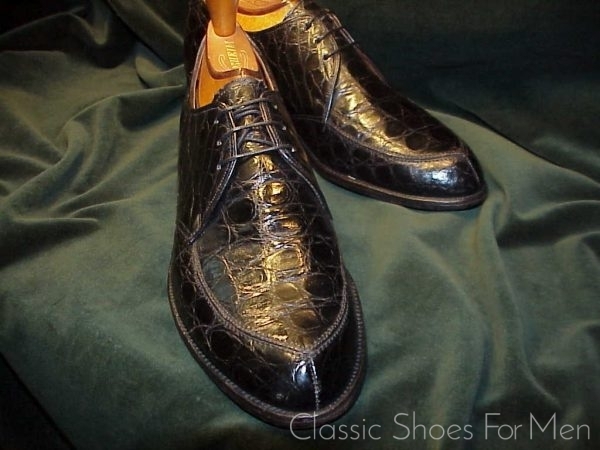 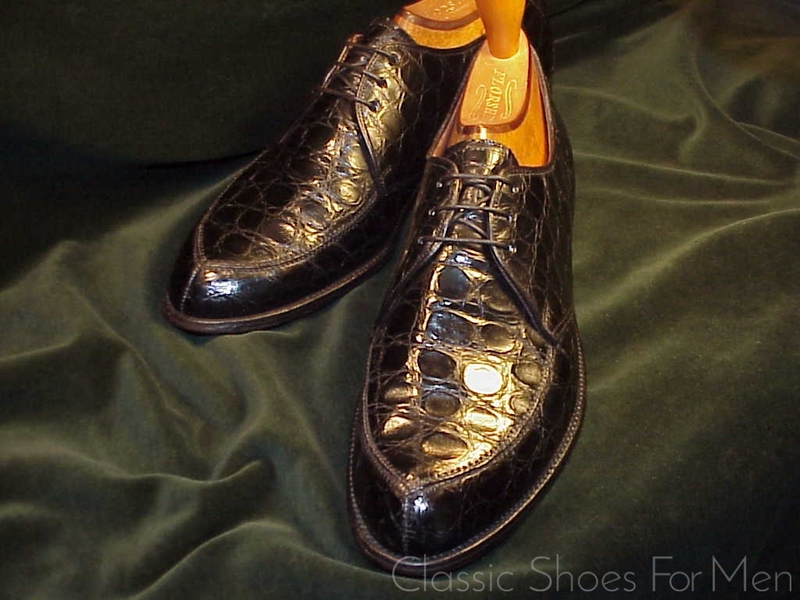 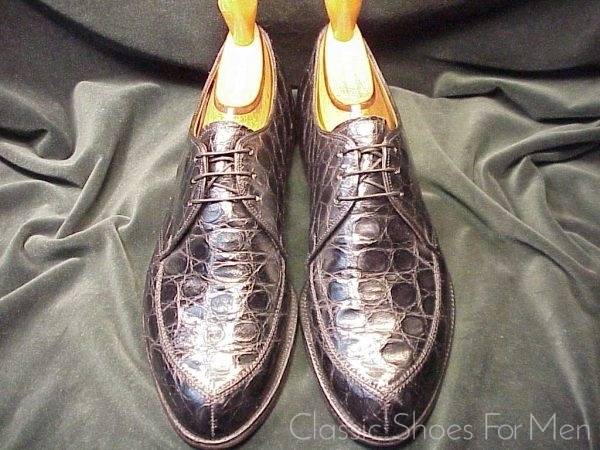 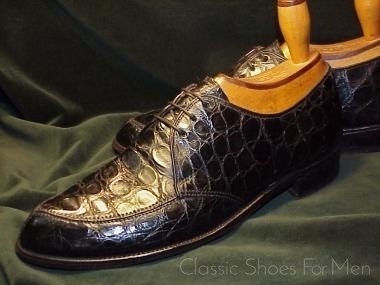 This excellent Alligator Norwegian can be dated to the first half of the century and was made by one of the earliest American shoe making firms, the Edwin Clapp firm of East Weymouth Mass. 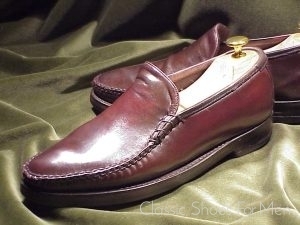 Clapp began it operations as a textile mill in the first quarter of the 19th century, provided uniforms during Civil War. 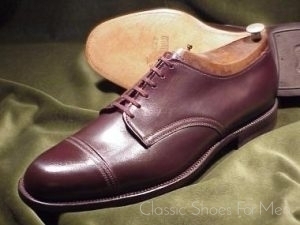 After surviving a catastrophic fire and a subsequent bankruptcy Clapp transformed itself in the middle of the century into a shoemaking operation and remained in operation, to my knowledge, until at least 1969. For much of the early 20th century, the Clapp shoe was synonymous with luxury and considered the panicle of the shoemaker’s craft. 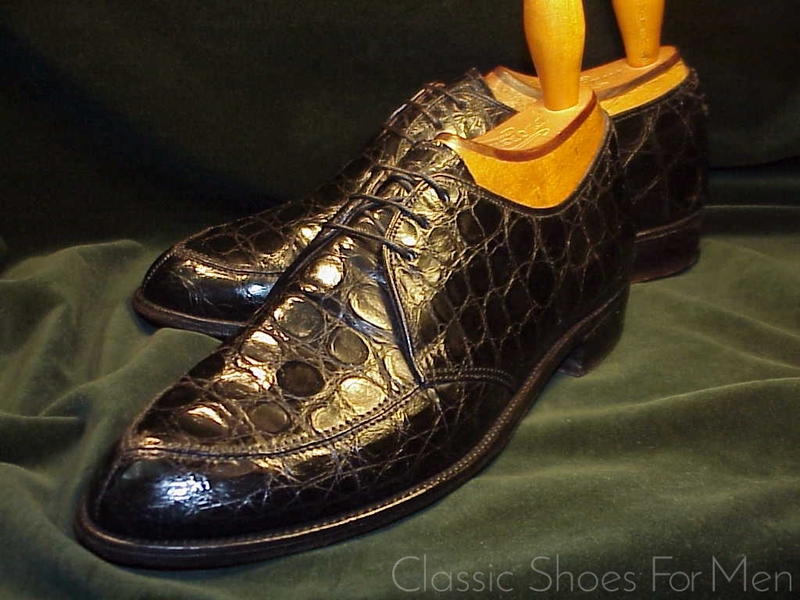 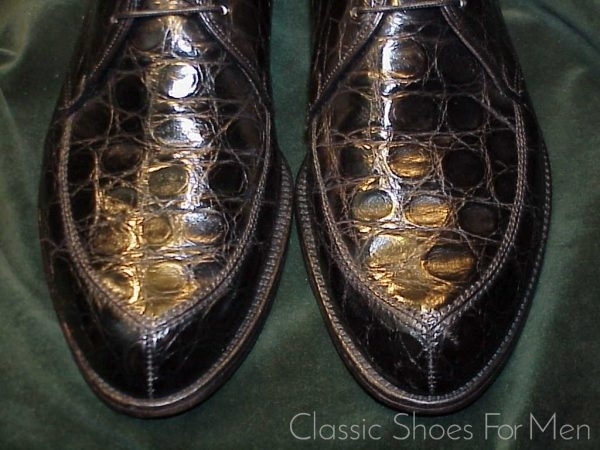 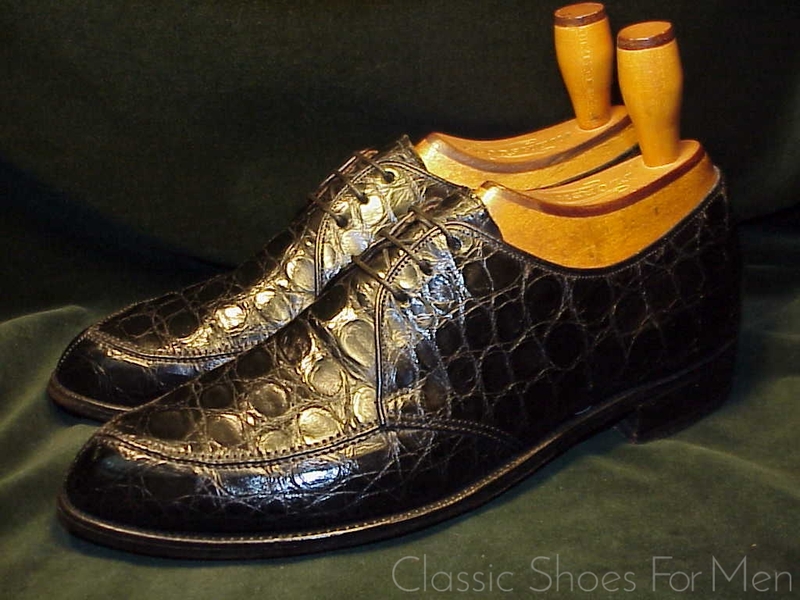 These soles are hand-sewn into a closed channel; on a par with the finest level of bespoke workmanship. Clapp’s products were favoured by musicians and other celebrities, businessmen, and well dressed men of leisure of the time. 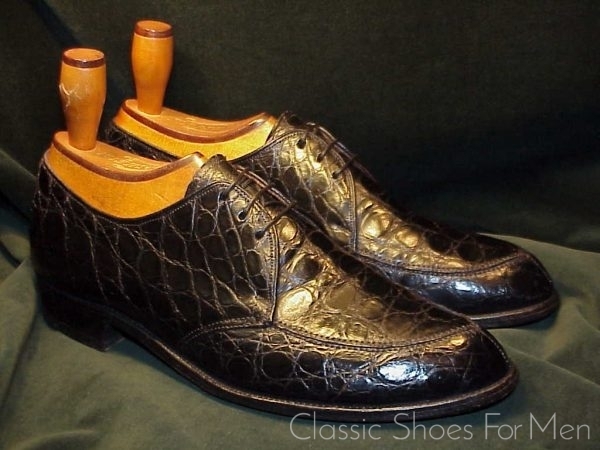 Jelly Roll Morton, speaking of jazz and turn of the century life in New Orleans, remarked in a 1938 recording now preserved in the Library of Congress, “I didn’t rest until I got myself a Stetson hat and a pair of Edwin Clapp shoes”. 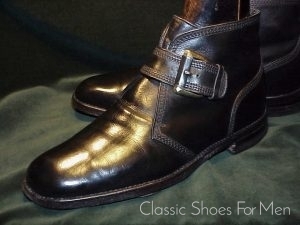 Clapp sold its products through regular trade channels but also operated two retail stores of their own in New York. 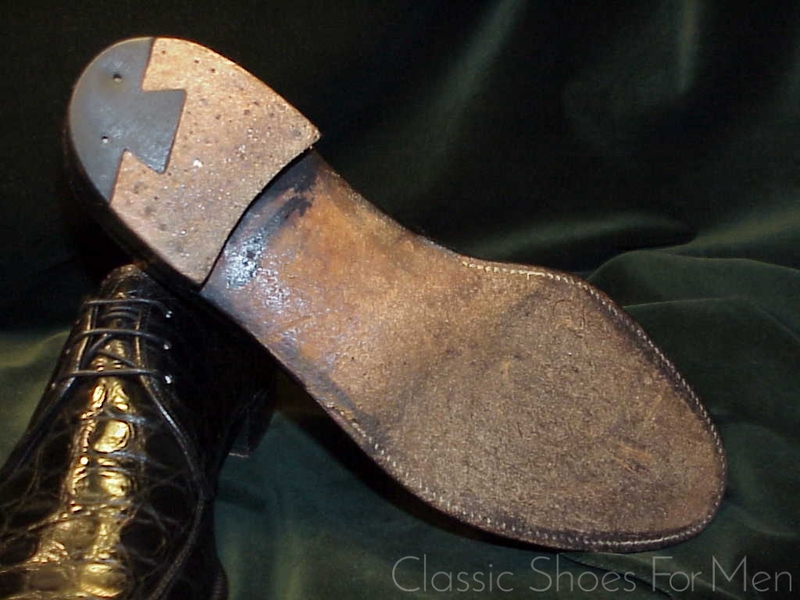 US 8D........UK 7E.......European 41D, for the medium width foot. Sold without trees. 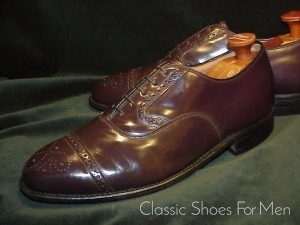 Superb, all original and in very good condition. 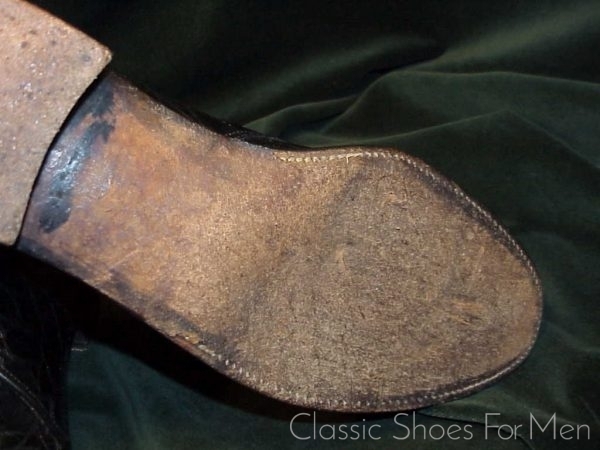 A piece of history.